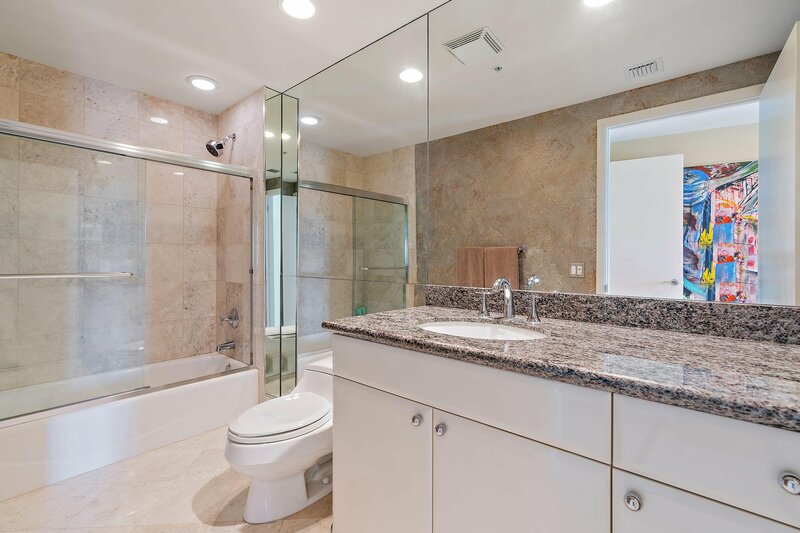 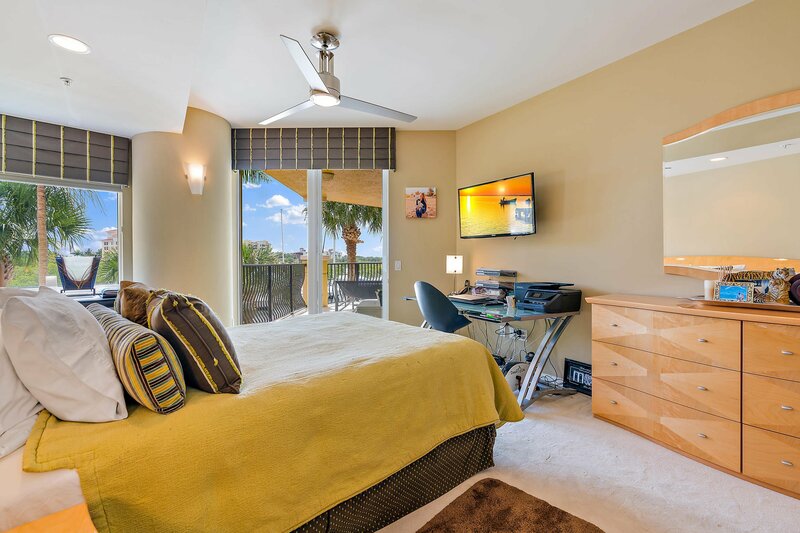 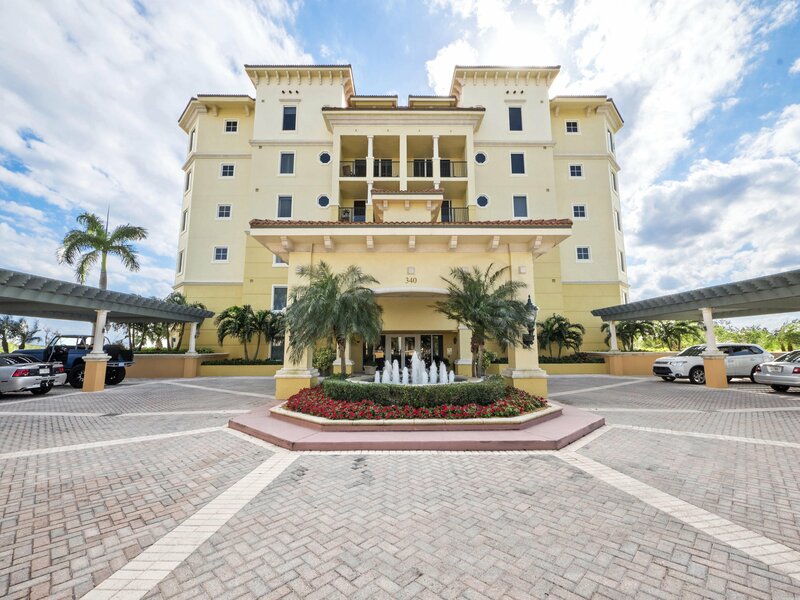 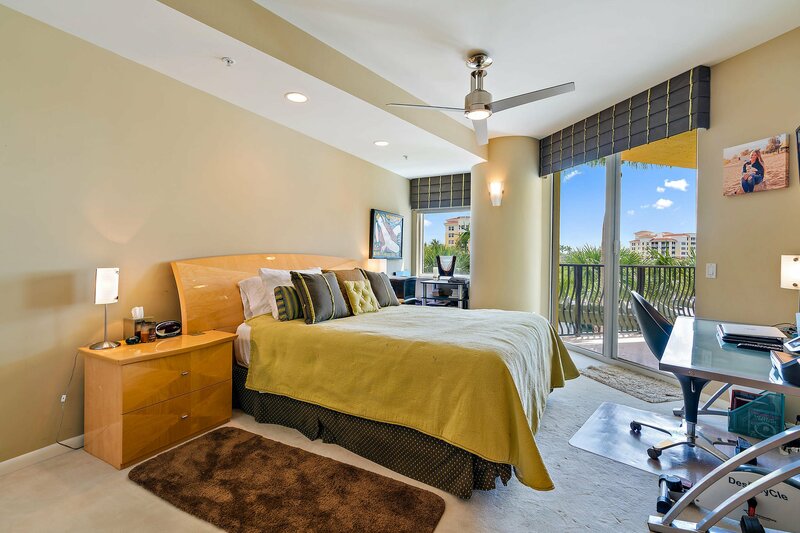 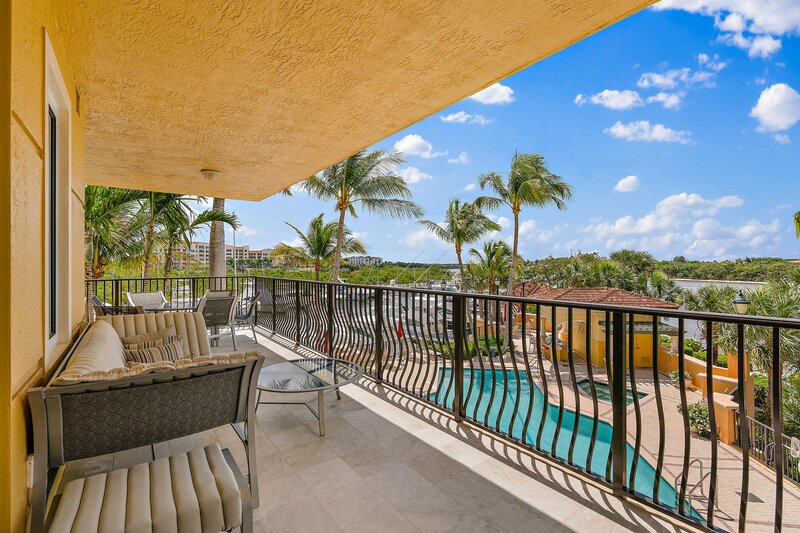 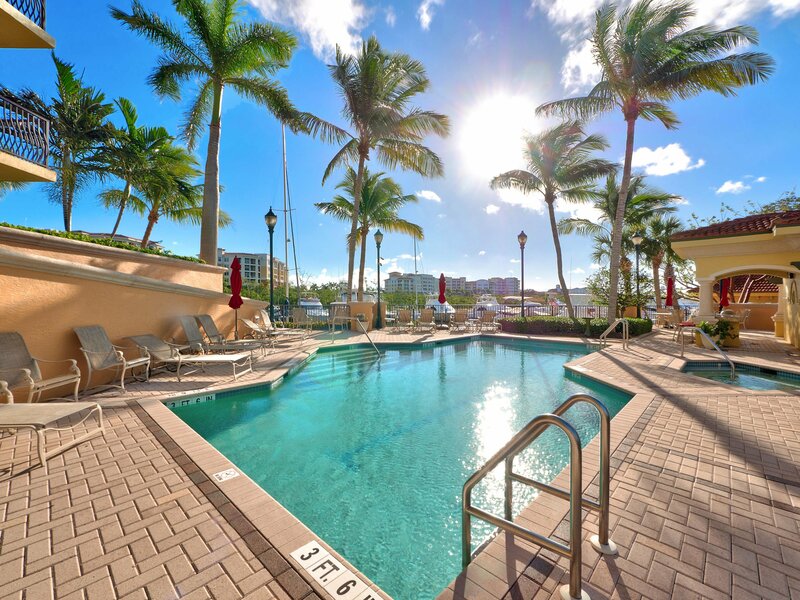 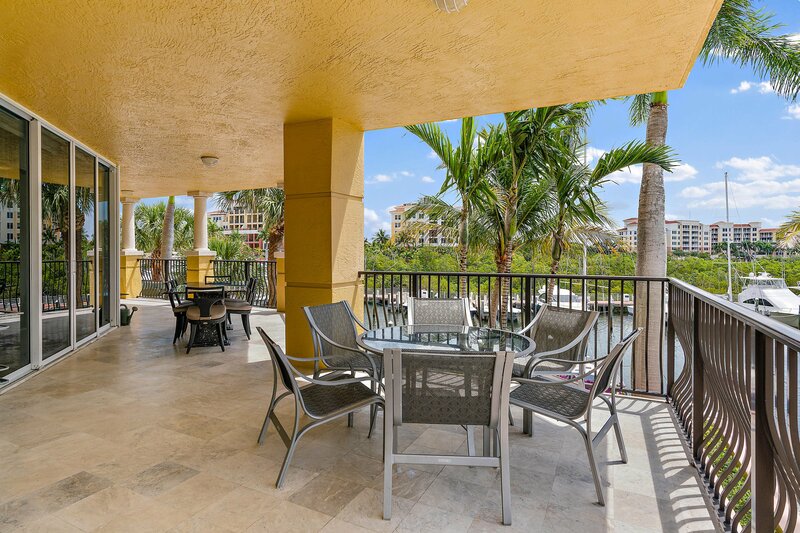 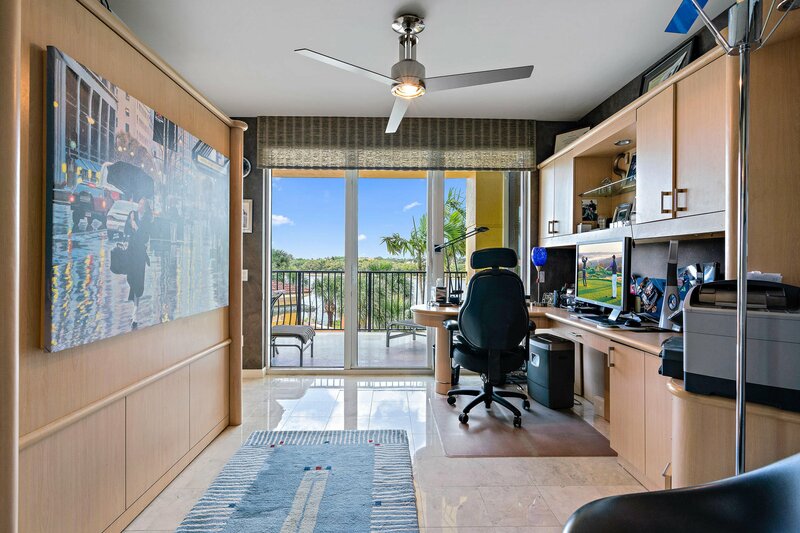 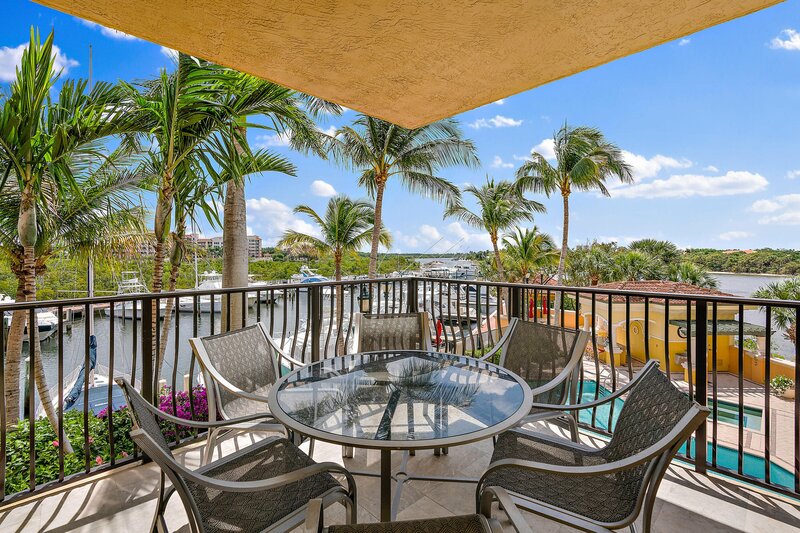 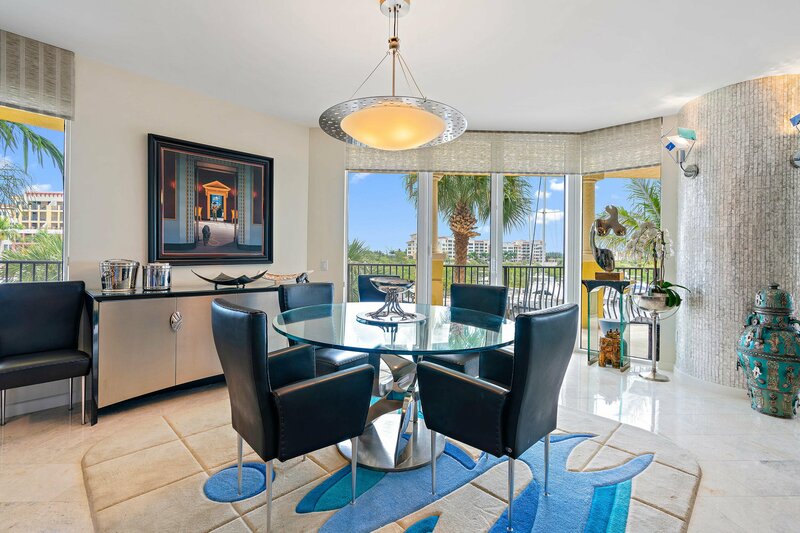 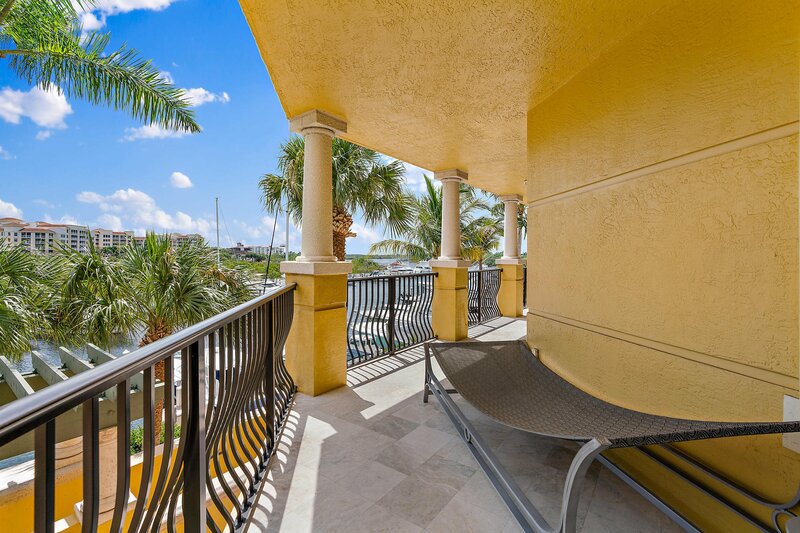 This three-bedroom furnished corner unit in the prestigious Pointe Building of the Jupiter Yacht Club always gets rave reviews from friends and neighbors and has been anticipated by many to be offered for sale - and it finally is. 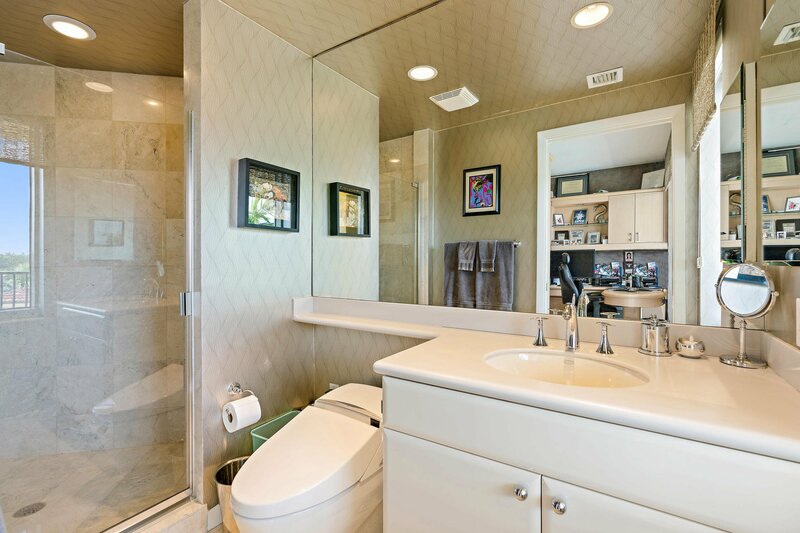 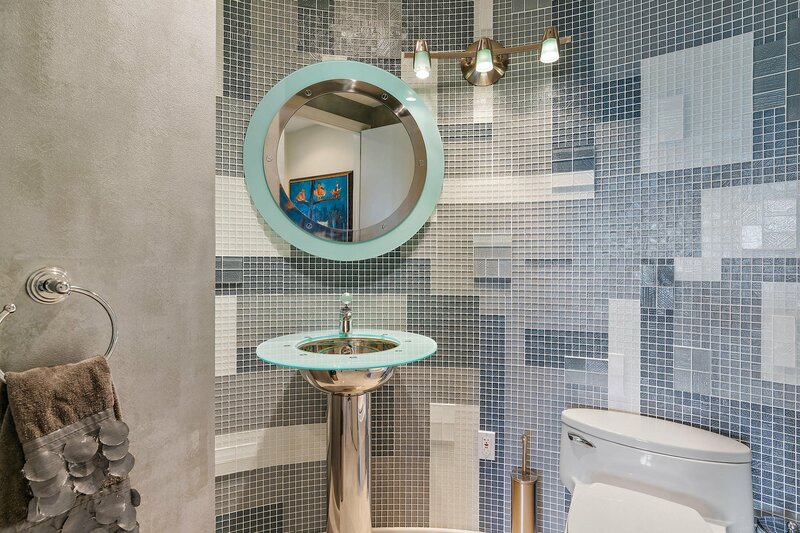 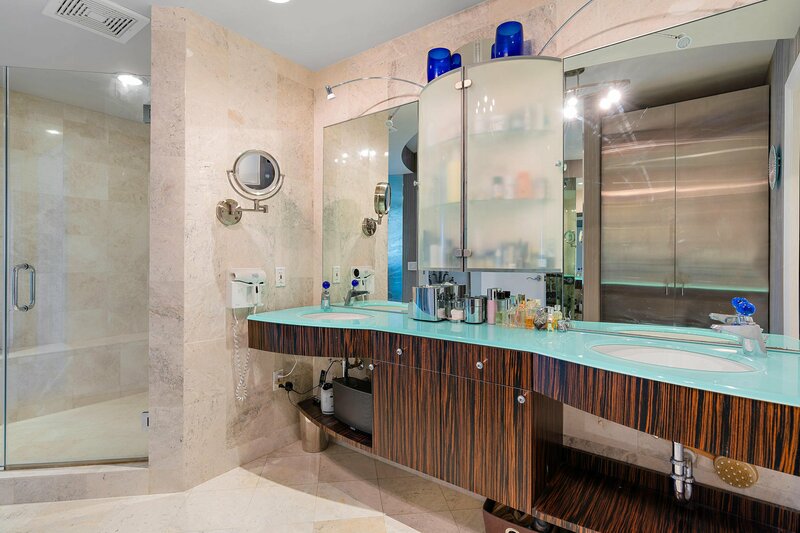 Contemporary and modern decor and finishes, make this unit one of a kind. 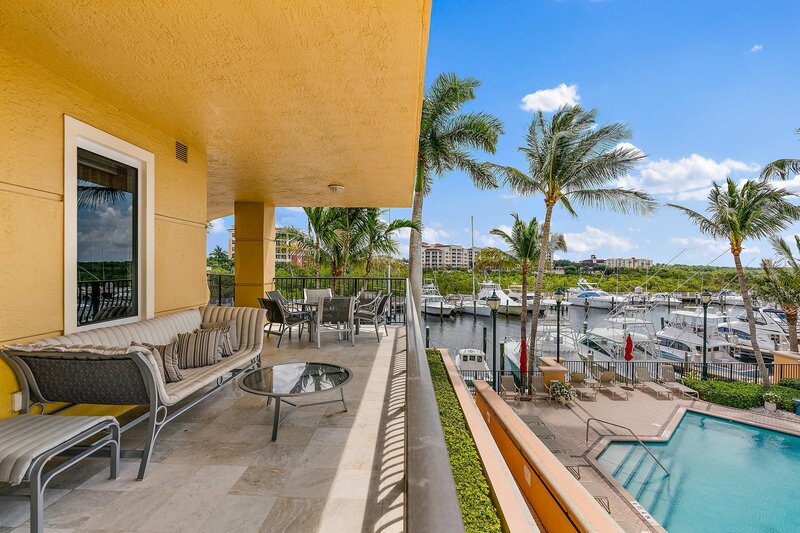 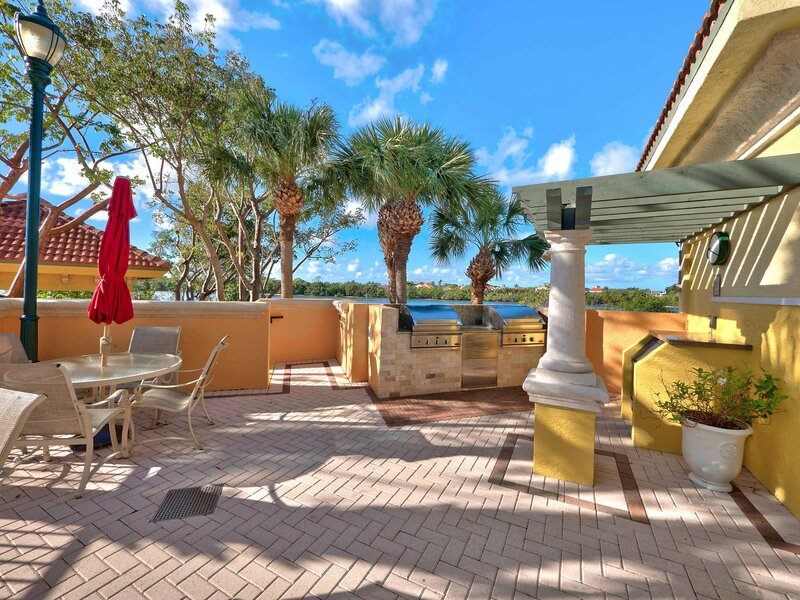 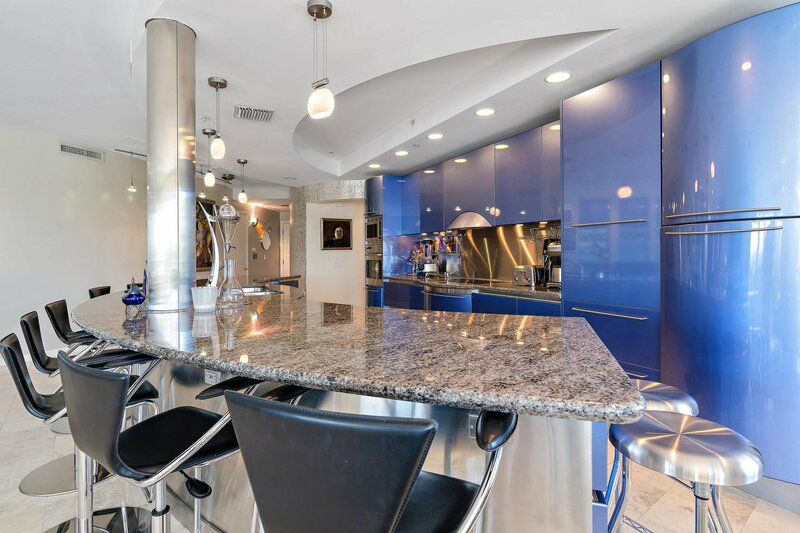 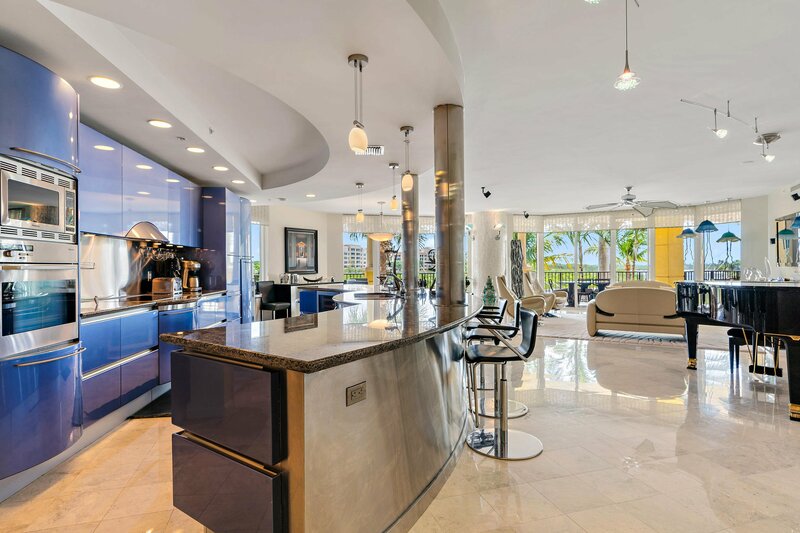 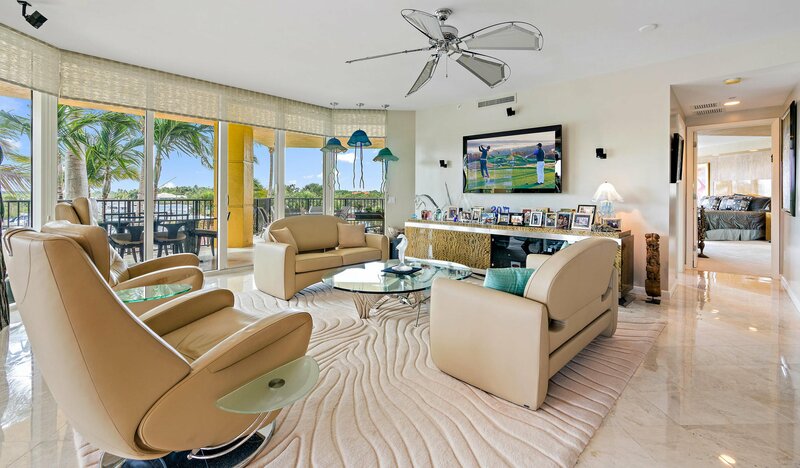 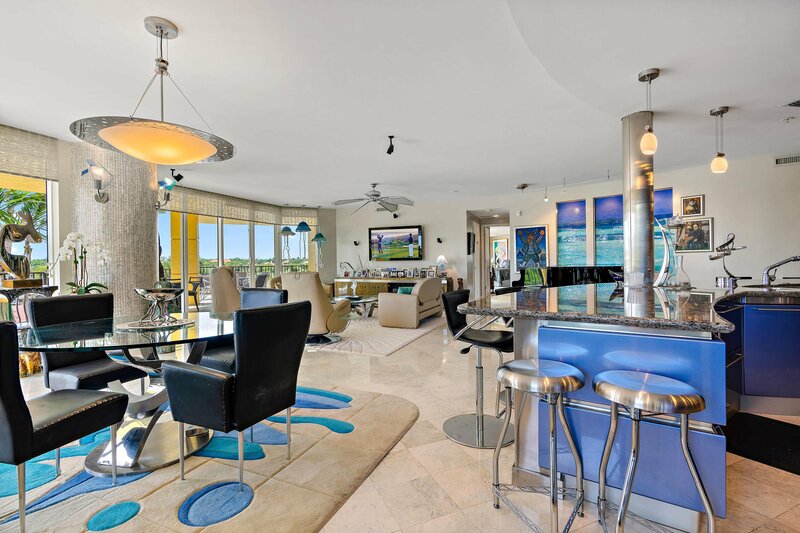 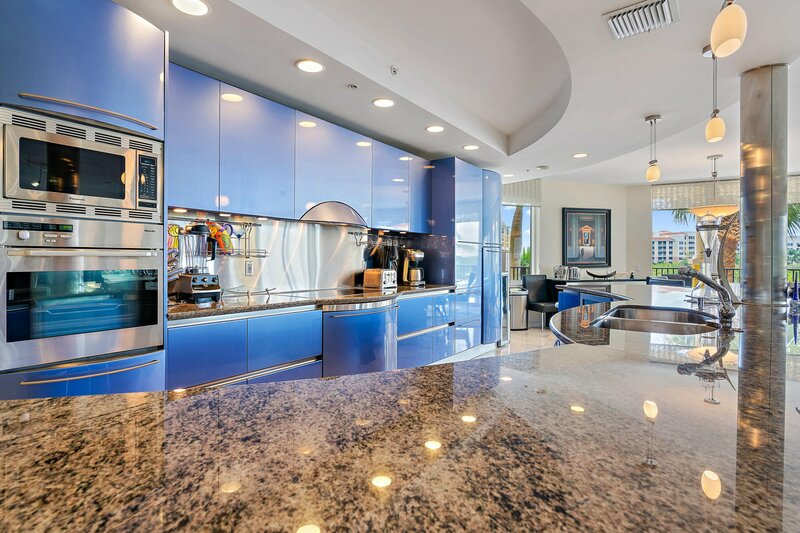 No expense has been spared to fully utilize the 180 degree views of Marina, Intracoastal and year-round awe-inspiring sunsets, by completely redesigning the kitchen and converting two living areas into a grand salon. 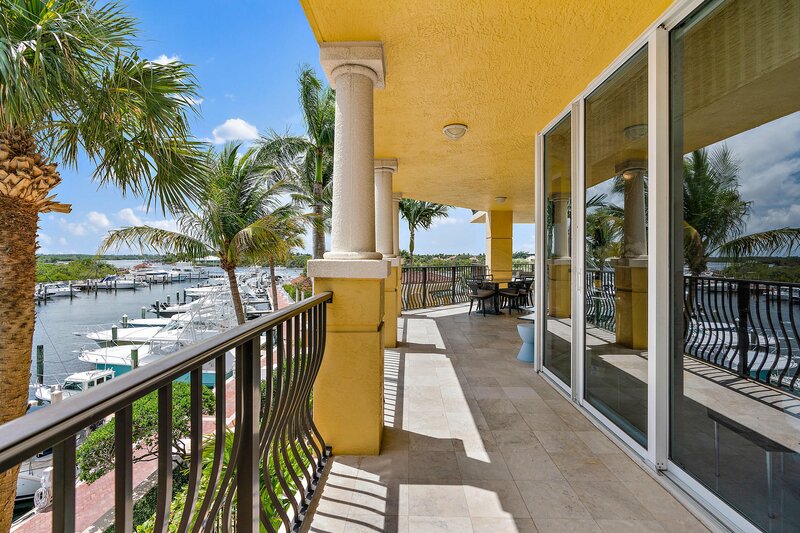 Situated in one of the two most desirable stacks in the whole complex, directly facing the Intracoastal, this is what luxury Jupiter Yacht Club living is all about. 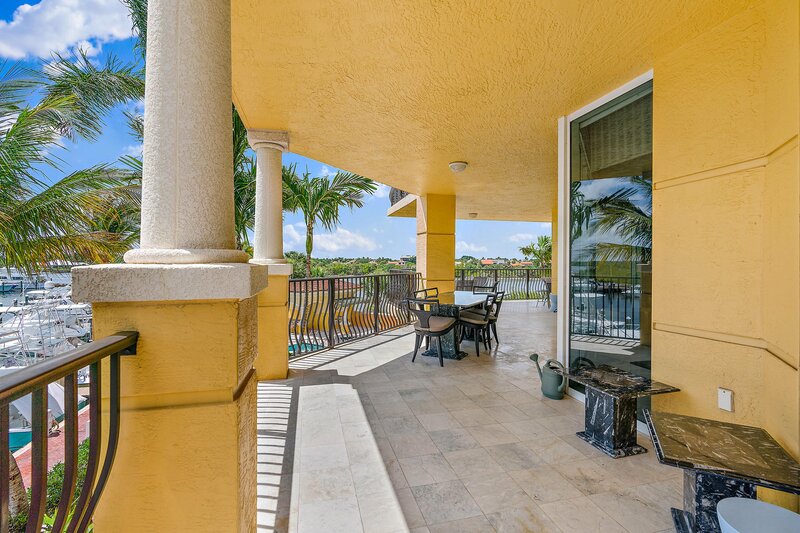 All three bedrooms have water views and access to the never-ending wrap-around patio. 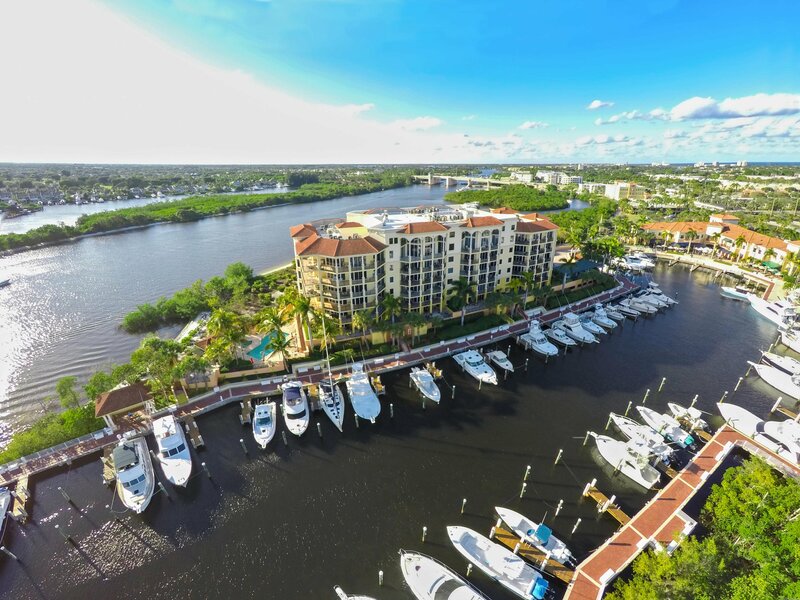 The Jupiter Yacht Club is located in the heart of Jupiter, a skip from area hotspots, such as the newly opened Harbourside with an array of fine dining and shopping, and within walking distance to miles of unspoiled beaches! 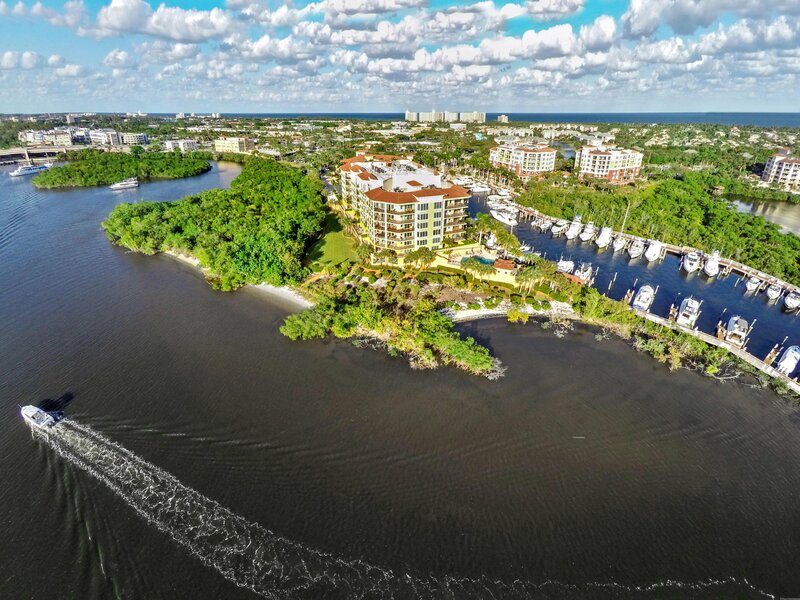 Amenities include two under-building parking spaces, a manned front desk, a salt water pool and Spa and a summer kitchen / BBQ area, as well as bicycle and paddle board / kayak storage - and a private beach on the Intracoastal, for launching. 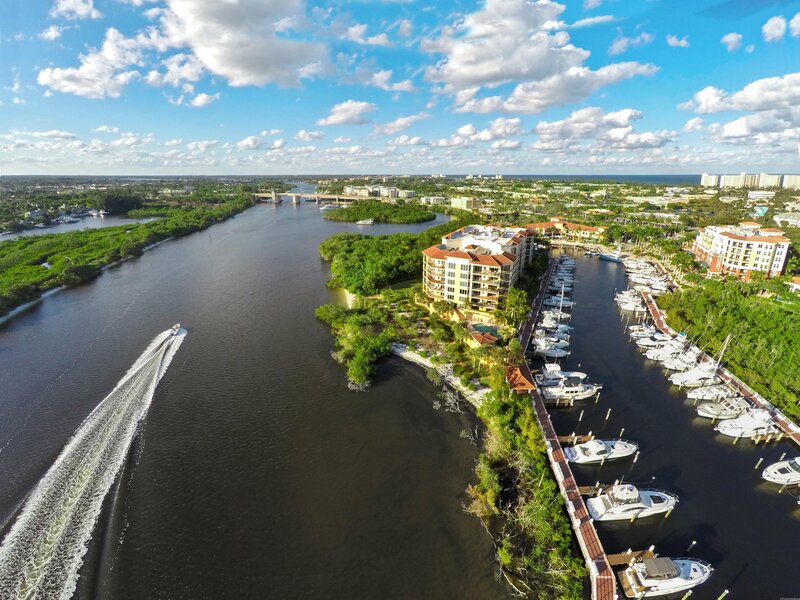 Did we mention the Marina? 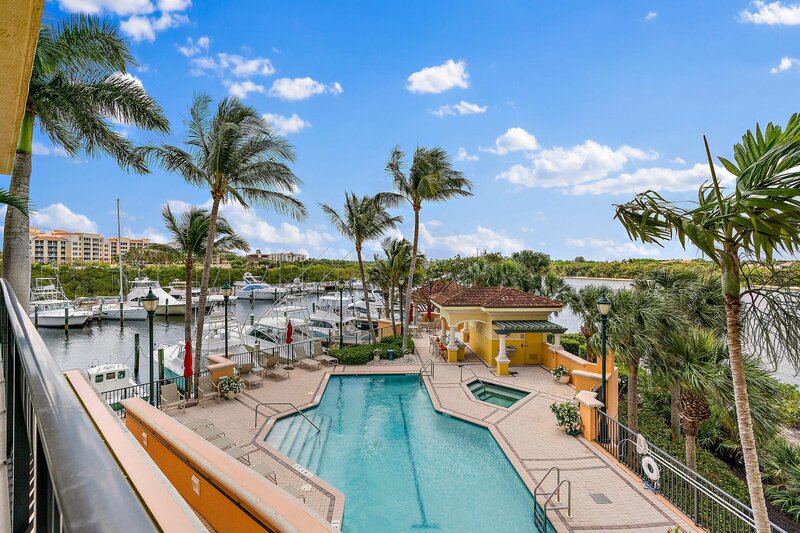 Docks are available for purchase or lease! 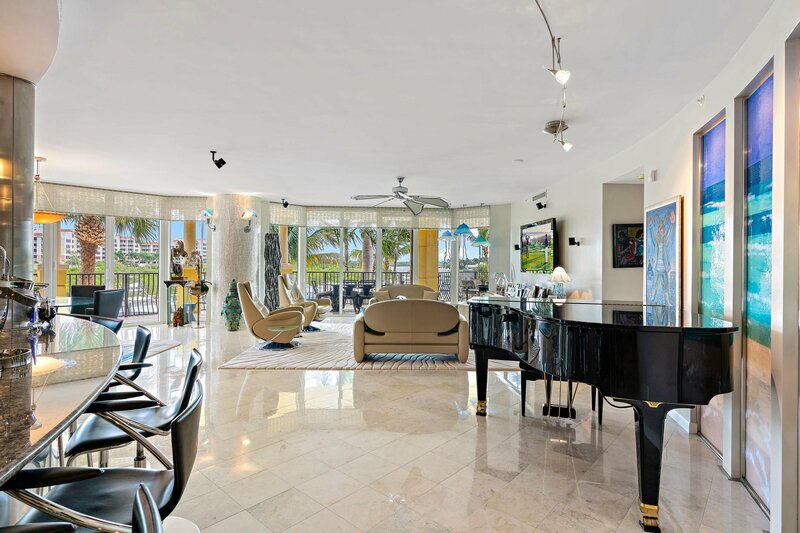 Listing courtesy of Engel & Voelkers Jupiter RE.